Originally intended for another group, 'Kiss' was quickly reclaimed by Prince when he heard David Z's arrangement. Despite record company scepticism, the track became his third number one single and rejuvenated his career. David Z is, arguably, best known for his work with the multi-talented, Minneapolis-based artist, ranging from the live 1983 recording of his signature song 'Purple Rain' to the arrangement and engineering of the iconic 'Kiss' which, following its February 1986 release, peaked at number six in the UK and became Prince's third American number one. Nevertheless, Z does have a far more extensive track record: engineering and playing guitar on Lipps Inc's 1980 transatlantic disco smash 'Funkytown', producing and engineering the Fine Young Cannibals 1988 US chart topper 'She Drives Me Crazy', and earning production, engineering, instrumental and/or compositional credits for, among others, Sheila E, Jermaine Jackson, Jody Watley, The BoDeans, Buddy Guy, A-ha, Etta James, Joe Cocker, John Mayall and Jonny Lang. This is what Z did, and soon thereafter he was also signed to A&M as a songwriter. This and his skill as a guitarist came in handy during the next five years, which saw him play on records by the likes of Billy Preston, while earning a co-composer credit with Gram Parsons on his debut album GP for the track 'How Much I've Lied'. 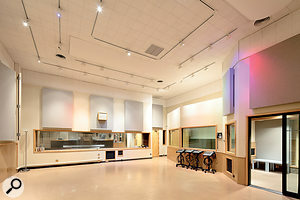 Sunset Sound's Studio 2 was often the venue for Prince sessions and was also where the Mazarati version of 'Kiss' was recorded. Photo: Hannes BiegerIn Minneapolis, as a means of surviving in the music business, David Z arranged with a local booking agent to cut band demos at ASI Studios, in order to secure the bands local club gigs. "I just attended the sessions,” he recalls. "However, during the course of my doing that, the engineer at ASI said, 'I'm sick of doing this. Why don't you do it?' I told him, 'I don't know how in hell to do that. I'm a guitar player and a songwriter.' Still, he put me in there and pretty much locked the door for two years, during which time I read all the books I could about how to engineer and make the equipment — a custom console and an eight-track machine — work, because I was never really schooled in that. Fast-forward to a year later, by which time David Z was working at another local facility, Studio 80, where in December of '74 Dylan had done some of the recordings for his classic album Blood On The Tracks. 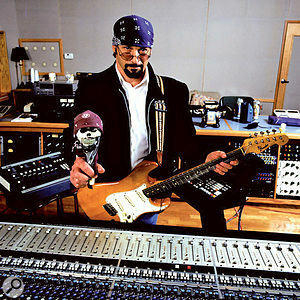 Prince was now being managed as a solo artist by another of David Z's friends, Owen Husney, who turned up at Sound 80 with a tape of his protegé's songs. 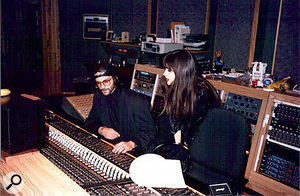 With David Z engineering, Prince subsequently set about single-handedly recording demos of three 12-minute tracks at Sound 80: 'Soft & Wet', 'Baby' and 'Make It Through The Storm'. "In advance of each session, he used a little hand-held cassette recorder to hum the bass, guitar, keyboard and synth-produced horn parts, and he also mouthed the beats,” says Z. "I set up a station for each instrument and, using the cassette machine to remind himself what to do, Prince played every single part. It was amazing to me, because that's pretty hard to do while retaining your objectivity. However, right from the start he was great; the complete package from the first minute I heard him. He did nothing but eat, sleep and make music, and to this day I'm sure he doesn't sleep much. He had more energy than anybody. Indeed, titled For You, Prince's debut album would not only be produced and arranged by him, but it would also feature his own compositions, as well as his playing of all 27 instruments. This was after, having learned all he felt he needed to know about engineering by observing Vicari, Prince had edged him out of the picture. The title track actually required 46 vocal overdubs, but who's counting? Once the For You album was in the can, the main man had to assemble a band with which to tour in support of his debut record. "Prince had never played live with a band and so the heat was on,” says Z. "His idols Sly Stone and Jimi Hendrix both had bi-racial mixes in their own groups, and the fact that Prince wanted to tap into the same sort of thing was great because not many people, either black or white, were doing that at the time. Prince wasn't Motown, he wasn't Philly, he was his own thing. David Z wasn't involved in any more studio sessions with Prince until those in 1982 for 'Delirious', the third single off his fifth album, 1999. Then, in August the following year, at the First Avenue nightclub in Minneapolis, Z recorded a benefit concert by Prince and his sidekicks — now named The Revolution and featuring the debut of guitarist Wendy Melvoin — to aid the Minnesota Dance Theatre. For this, he utilised the 'Black Truck' mobile unit from New York's Record Plant, capturing the 70-minute performance from which three songs were extracted for the soundtrack to Prince's 1984 film Purple Rain: 'I Would Die 4 U', 'Baby I'm A Star' and the title number. These would be the closing tracks on the album. In its full form, with Prince playing his Hohner Telecaster copy instead of the Cloud guitar that he used in the movie and on the subsequent tour, 'Purple Rain' lasted 13 minutes, 20 seconds. However, an extended introductory guitar solo, second chorus and third verse were cut to create the 8:41 version that, commencing about three minutes and 50 seconds into the live performance, ended up on the album with the entire first verse, chorus and second verse intact. The song was further shortened to 4:05 for the single. Released in September 1984, 'Purple Rain' climbed to number two in the US and the UK, following up on the success of the two preceding singles from the same album, 'When Doves Cry' and 'Let's Go Crazy'. The former, which was Prince's first American chart-topper, broke with dance-song tradition by having no bass line, and in April 1985 he repeated this ploy for the stripped-down, in-your-face funk of 'Kiss'. Formed by the Revolution's bassist Mark Brown (aka Brown Mark), Mazarati was a funk/R&B outfit whose only hit was the Z-produced/Prince-co-written '100 MPH', but whose greatest claim to fame was a recording that never saw the light of day — at least, not in the form that the band members intended. "We did a bunch of songs for Mazarati's album,” Z recalls. "Then, when we needed a single, Prince gave me this demo of him just playing straight chords on an acoustic guitar — one verse and one chorus — while singing in a normal pitch; not the falsetto that's on the finished record. To us, it sounded like a folk song and we were wondering what we could do with it. No way was it funky. Anyway, starting with a LinnDrum, I programmed the beat and began experimenting. Taking a hi-hat from the drum machine, I ran it through a delay unit and switched between input and output and in the middle. That created a very funky rhythm. Then I took an acoustic guitar, played these open chords and gated that to the hi-hat trigger. The result was a really unique rhythm that was unbelievably funky but also impossible to actually play... I'm sure that sound influenced the fabulous new Daft Punk song 'Get Lucky', because it uses the same trick, with the guitar gated to some sort of rhythm and sequencer. Or David Z and the guys in Mazarati thought it was. The fact is, in this form 'Kiss' sounded OK — a so-so dance number. However, Tony Christian's lead vocal was a little soulless and uninspiring, and when Prince heard the track he decided to head in a different direction... with himself at the helm. Boasting a four-octave range, Prince sang virtually the entire song in head voice, reverting to chest voice for the final line, as well as a single note before the last chorus. "At the time, I think he was into using a [Sennheiser MD] 441,” says Z.
Mazarati's backing vocals ended up on the finished record, yet this was scant compensation for what they had hoped would be their breakout hit. While Z had engineered the Mazarati recording in Sunset Sound's Neve 8088-equipped Studio 2, Prince used the API/DeMedio-equipped Studio 3 to record his overdubs. According to David Z, the minimalist arrangement of 'Kiss' required him and Prince to spend only "about five minutes doing the mix”. Nevertheless, he wasn't involved with the 12-inch mix, which, built around the funky guitar lick and featuring additional lyrics as well as a more comprehensive arrangement — complete with organ and bass guitar — could be heard in Prince's critically-panned, commercially disappointing 1986 musical-drama movie Under The Cherry Moon, which he directed and starred in. "The 12-inch was done by Prince after the fact,” Z explains. "He was obligated by the record company to do a dance version, and it was just a matter of editing in eight bars and then another eight bars of something different. Prince did a lot of his own engineering; sitting behind the board and singing, playing guitar or playing bass while punching buttons at the same time. He worked super-fast. And, apart from the first album, that went for everything we did. "We'd have these stations set up, with drums out in the room, the bass plugged in, the keyboard plugged in, the guitar plugged in, and he'd jump around between stations while expecting everyone to work as super-fast as he did. If someone didn't, there'd be hell to pay; I've seen him be really hard on some second engineers. So we had to be aware of what he was doing and when he wanted it done. He'd jump to the guitar, you'd hit 'record' and bam, it was done. 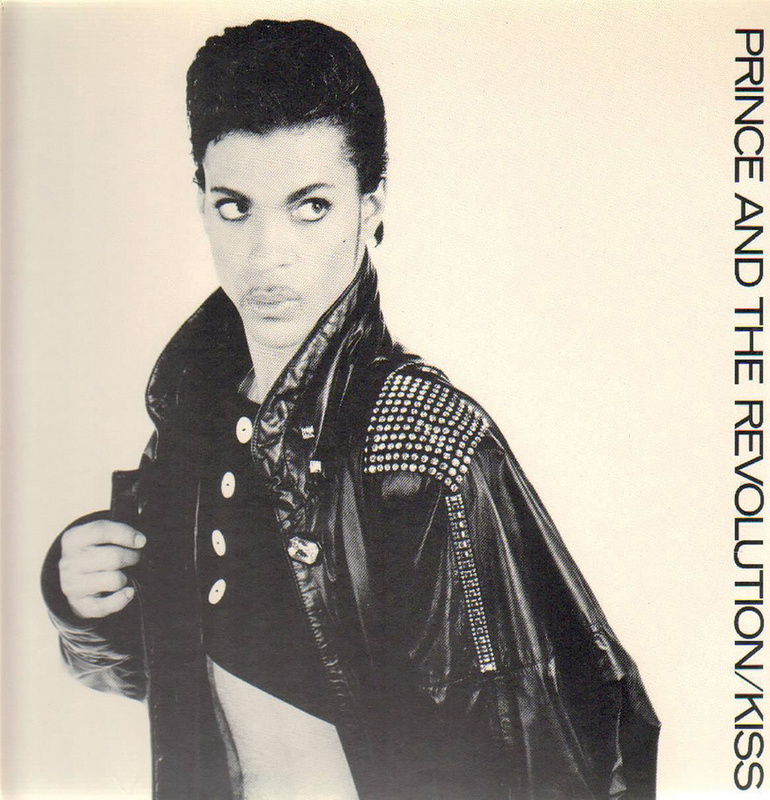 The soundtrack album, Parade: Music From The Motion Picture Under The Cherry Moon, was the final record on which Prince was backed by the Revolution. He was reinventing himself, as evidenced by the new image that saw him dispense with his curly mane, purple outfits and ruffled shirts in favour of shorter, slicked-back hair and smoother-looking clothes. Accordingly, 'Kiss' matched the mood of the moment, yet it initially didn't impress the record-company honchos. 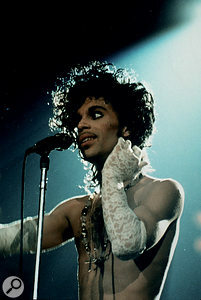 By then, Prince's third US chart topper had earned him a Grammy Award for Best R&B Vocal Performance by a Duo or Group. Yet, David Z — who now resides in Burbank, California, and recently produced Cyril Neville, the youngest of the Neville Brothers — didn't crow about this. Construction of Prince's $10 million Paisley Park studio complex, located in Chanhassen, close to Minneapolis, commenced in January 1986, and the facility opened in September of the following year. Architect Brett Thoeny and acoustician Marshall Long were the main designers. By the early 1990s, the complex totalled 55,000 square feet and comprised four studios — A, B, C and D — as well as a video editing suite, a 12,500 square-foot sound stage, rehearsal room, production offices and private dressing room. The 1500 square-foot Studio A housed a 48-channel console and then a 64-channel SSL 6000E, Studio C had a 36-input Soundcraft TS24, and Studio D was a small DAW-based facility. The 1000 square-foot Studio B was, as per Prince's specifications, patterned after Studio 3 at LA's Sunset Sound. "It was the same shape, the same size and had the same board,” recalls David Z, referring to the API/DeMedio 48-channel console with GML moving-fader automation. Other equipment included two Studer A800 Mark III multitrack machines, Studer A820s and a Westlake SM1 five-way monitoring system. 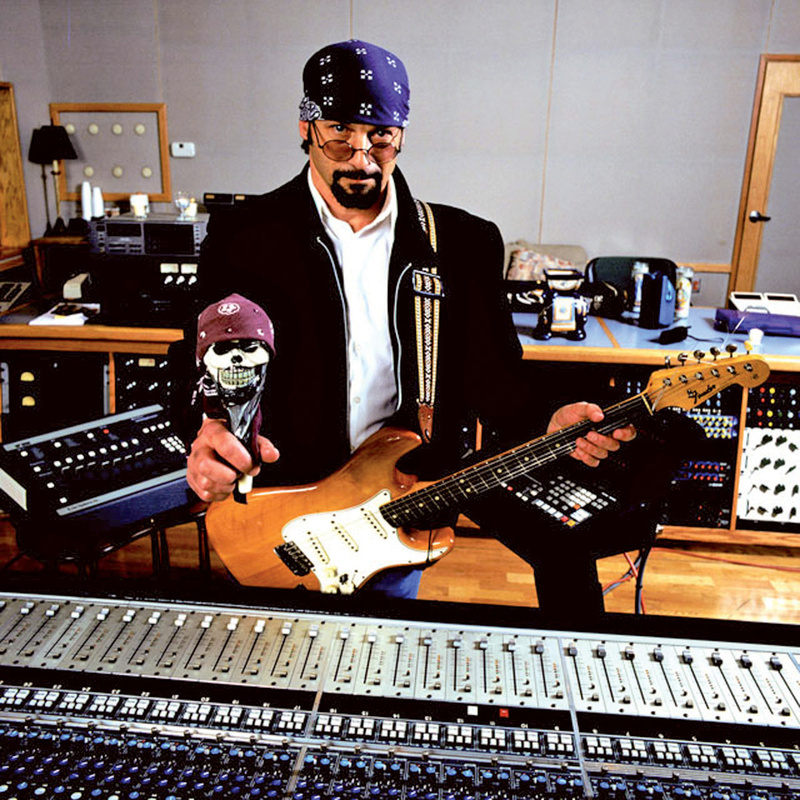 "We loved that Frank DeMedio-modified API board in Studio 3 at Sunset,” says David Z. "It was my favourite. Everyone who's worked there over the years has told them 'Don't change it,' so they haven't. In that control room, the back wall is right behind the engineer's chair, and if you can get it to vibrate, you know you've got it right.